New Jersey’s county vocational-technical schools reflect the 21st century workplace, with courses on healthcare, bio-technology, and engineering, and are designed to effectively prepare students, whether they choose to enter the workforce or continue their education at the post-secondary level. However, there’s one thing county-vocational schools need more of—businesses willing to partner with them and provide students with work-based learning opportunities and practical experience. 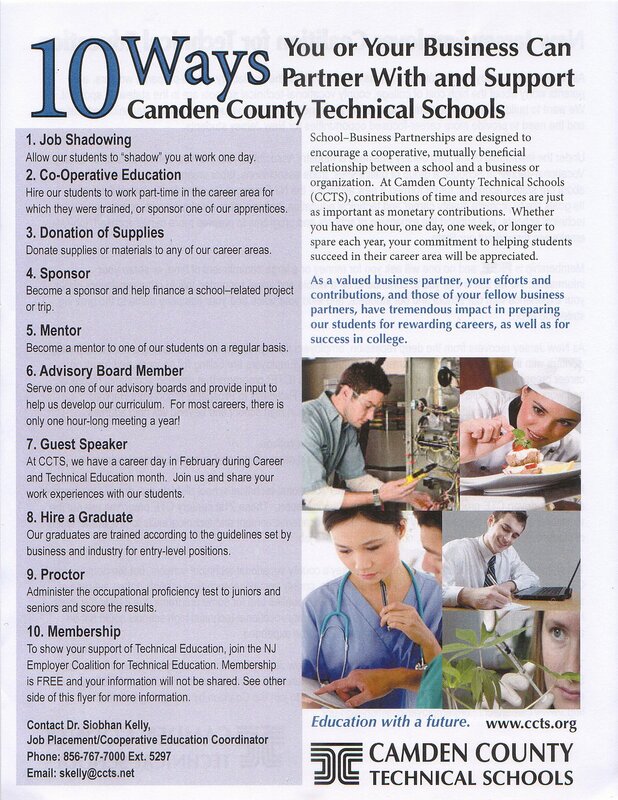 “In all of our programs, a central component is interaction with our business partners,” said Timothy McCorkell, superintendent of the Monmouth County Vocational School District and president of the NJ Council of County Vocational-Technical Schools. McCorkell was one of four panelists at NJBIA’s Education and Workforce Development Committee meeting on Wednesday examining the partnership between businesses and county vocational-technical schools. He was joined by Jaime Soto, who is the Monmouth County’s Structured Learning coordinator and Chef Instructor, Siobhan Kelly, director of Admissions, Job Placement, Cooperative Education and the Business Conference Center at Camden County Technical Schools, and Nicolae Borota, manager of CTE Programs and Talent Development at the NJ Department of Education. “In every business, there’s a group that’s attached to that in the local technical school, and you can volunteer with that group,” Kelly said. NJBIA formed a partnership with the NJ Council of County Vocational-Technical Schools to foster partnerships between businesses and schools. Businesses ready to get involved should start by contacting the vocational school district in their county. Go here for the contact list or visit www.careertechnj.org, for more information. I would like to become involved in this project and in multiple schools. Thank you so much for your interest in this program. I have called your comment to the attention of Judy Savage, executive director of the NJ Council on County Vocational-Technical Skills. She can be reached at 609-392-6222, ext 1. I hope it works out.